After a month of writing, blogging, event planning, and deering-do, Tee and Pip return to the mics (finally!) for a brand new Shared Desk…but wait, didn’t we talk about Amazon last time? Well, yeah, we did, and once again we return to the latest “sweet deal” for you. 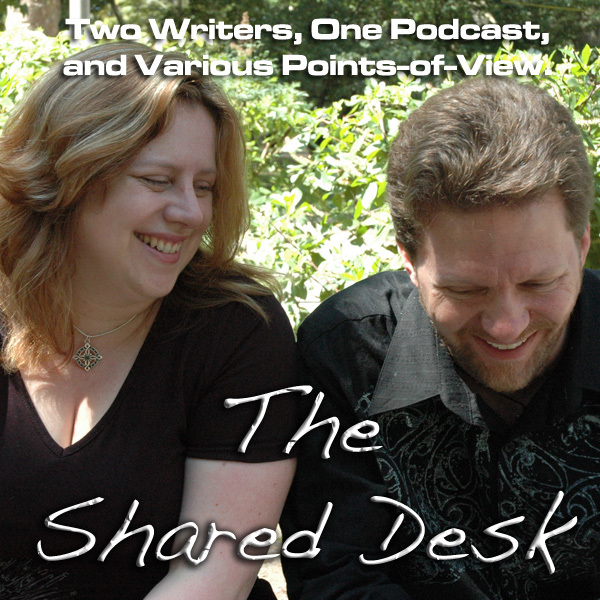 It’s a look at Kindle Unlimited, and a look back to Tee’s Past all caught on video in this latest podcast. Have a listen, comment on the blog, and feel free to reach out to us at 703.791.1701 to share your thoughts with us! July got by us. Let’s just say that. Pip’s feeling the sting of hard-core audio editing. Pip’s been spending a lot of time in Deadly Hollywood. Tee and Pip are waiting to hear from ACX and Writers’ Digest…on separate subject matters. We may not be at San Diego ComicCon, but our work is. One degree closer to Del Toro! Darkwater is going through the pitching phase again. Tee’s still working on Wolf in the Fold. Publication date for The Diamond Conspiracy: End of March 2015. Another great idea for Amazon…until the details come to light. How “deep” does this pool reach? There’s a deal for Kindle Unlimited for the Big Six, for indie authors, and for indie authors of a certain caliber. Hugh Howey got this “special” deal. And we turned to Joe Konrath for an opinion…. It’s a great idea with terrible timing. We’re trying this, but only with a couple of our titles. Three months of exclusivity? In book terms, that’s an eternity. Seriously, Jeff Bezos — between that letter to Hachette authors and now this little stunt, are you not thinking about how this looks? And Tee, once again, turns to Joe for comment on this matter of KU. If you think the comparison to Spotify is good, it’s not. Tee reflects on his own follow-up concerning erotica authors. Kindle Unlimited is a nice idea, but we want to try it on our terms. 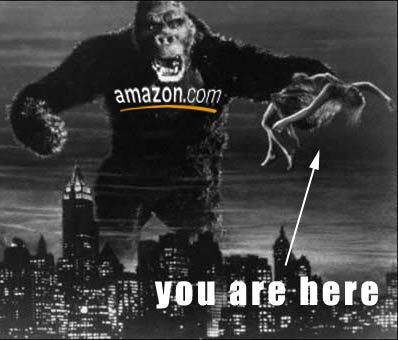 When it comes to Amazon and their services, know the terms. Exclusivity is never a good thing! It was The Musketeers that motivated Tee to go through stacks and stacks AND STACKS of videotapes. What have we discovered in this deep dive into Tee’s Past? Tee in his long-haired-hippie days. My plan: Go through VHS footage, and then edit it all down to one “master” performance. Still searching for an edited rehearsal and footage of The Three Musketeers, on stage with Vpstart Crow. Why go through and edit all this? New ideas for #ThrowbackThursday. Signing with Swords — coming soon! Tee puts up a case for hanging on to some of these VHS tapes. The Curse of the Blair Witch Project…a better production than The Blair Witch Project. Having a sale on One-Stop Writer Shop. Check it out! September 13 — S4, coming soon! Tales from the Archives — yeah, we fell off the rails…but we’re getting back on track. …and ACX on the audio edition of Ministry Protocol.